The use of film and analog X-ray imaging has been replaced by digital technology in most areas of science and research. The result has been greater operational efficiency, faster work flow, better-archiving infrastructure, easier sharing of outcomes, better image processing abilities, lower X-ray dose and real-time availability of images. Small angle X-ray scattering (SAXS) is a particularly useful X-ray imaging technique that reveals structures of biological macromolecules and synthetic nanoparticles. SAXS can supply data on the shape and structure proteins, nucleic acids and other macromolecular items. 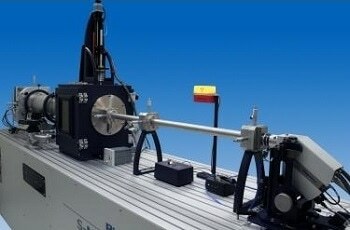 Using the same technique as SAXS but with a shorter the distance from the sample to the detector, Wide-angle X-ray scattering (WAXS) is used to identify the crystalline structure of polymers. Once submitted, we will try and place you in contact with a suitable X-Ray Cameras supplier within 48 hours.